Nothing tastes better than a perfectly cooked steak. That is, unless you pair that perfect steak with the perfect glass of wine. The right pairing between meat and wine can elevate the flavor of both and take your meal to a whole new level. The problem is, pairing meat and wine isn’t easy if you don’t do it often. There are many different types of wine out there, and there a many different cuts of steak. Plus, there are other types of meat that pair well with wine, like veal, venison, lamb, and even pork. How do you even start to find the right wine for the right meat? Fortunately, pairing wine with meat isn’t as difficult as it might seem. Once you know a few simple guidelines, you can confidently match wine with meat off of any menu, or you can pick up the perfect bottle of wine the next time you prepare a steak dinner at home. The next time you have to pair wine with meat, keep a few of these tips in mind. Red with red and white with white. Not sure whether to order a red or white wine? Consider the color of the meat. Generally speaking, red wines pair better with red meats while white wines are best paired with fish and white meats. The reason has to do with the content of the wine. Red wines have more tannins. (Learn more about tannins in Wine Workshop: I’m sorry, did you say Tannins?). Tannins acts as a compliment for the fat found in red meats like beaf, veal, and venison. White wine on the other hand has higher acidity levels, which compliment fish, chicken, and pork. Think of the acidity in white wine the same way you would think of squeezing a slice of lemon over your fish. The acidity heightens the flavor. Of course, there are exceptions to these rules. A dish like tuna tartar might pair better with a light red wine, even though it is technically a fish plate. Similarly, many veal plates pair well with white or rose wines. “Red with red and white with white” is a great guideline to follow because it’s simple to remember. However, much like the other tips on this list, it’s not set in stone. Lean beef goes well with light wine, while fatty beef pairs well with bold wine. Even if you know to pair a red wine with beef, that still leaves you with a lot of choices. There are many types of red wines with many different flavor profiles. How do you know which red wine to choose? An easy way to select a red wine is to pay attention to the actual cut of beef. In most cases, the leaner a cut of beef is, the better it will pair with a lighter red wine. 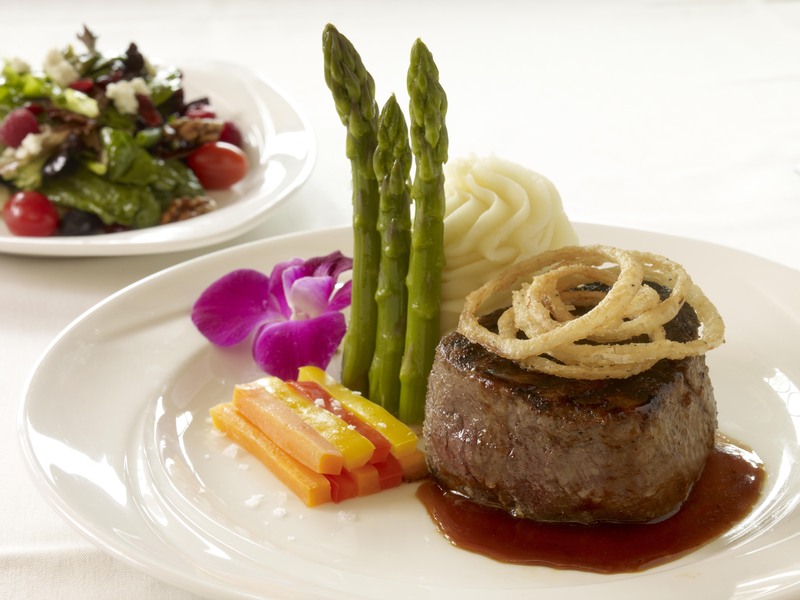 For example, lean cuts like sirloin and round roast will pair well with a light- or medium-body red. Consider wines like Cinsault, Pinot Noir, St. Laurent, Merlot, Dolcetto, and Sangiovese. These wines will have higher acidity, which will complement the lean meat texture. The more intense the flavor of the meat, the darker the body of the wine should be. For cuts with a higher fat content, like filet mignon, New York strip, and ribeye, consider bold reds. These have more tannins, which act as a palate cleanser and help prepare your mouth for the next bite of steak. 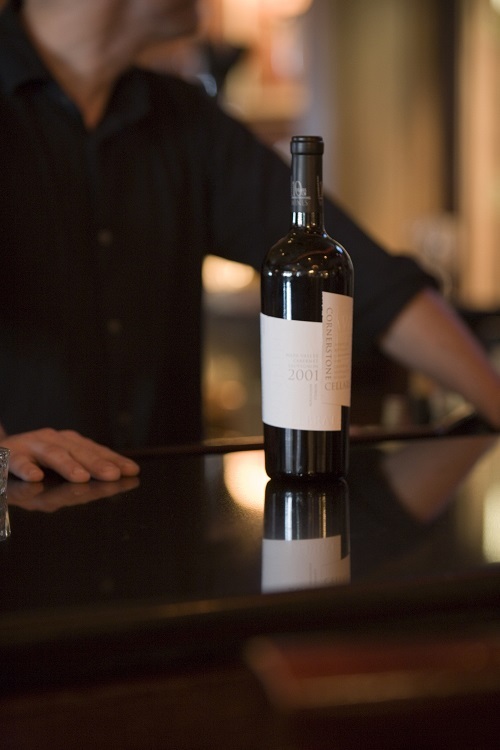 Consider wines like Syrah, Cabernet Sauvignon, Sagrantino, and Malbec. If your dish comes with a sauce, that adds another level of complexity to consider. Generally speaking, the flavor of the sauce is going to overpower or drastically change the flavor of the meat. That means that you should consider the sauce as your primary factor when choosing wine. Lean towards medium- to bold-bodied wines when your dish has a sauce. In most cases, the more intense the flavor of the sauce, the bolder you want your wine to be. Also, look for wines that pair well with unique sauces. For example, sauces with a tangy flavor, like sweet BBQ, can pair well with a medium-bodied red that is infused with fruit elements, such as Australian Shiraz or California Syrah. Green sauces like chimichurri or mint pair well with bolder fruity wines, like Malbec.